Shortly after his return home from World War II Bob Hewes and a few friends had a desire. They wanted their own fishing boats. In a season short on cash and long on initiative, Bob and his three buddies bought the aluminum sheets and other raw materials from a junk dealer in Spokane, Washington. By the time the first three boats were built and Bob’s friends now had their vessels, they soon lost interest in helping build his boat. Undaunted by the lack of help and still eager to have his own boat, Bob recruited the assistance of his younger brother Ralph to help construct the fourth boat. Suddenly a family business was born. Sixty-eight years later the heart and soul of Hewescraft is still desire. Not a hunger to own a boat, but rather a passionate desire to build functional and affordable boats for fishing families across the United States and Canada. Although Bob and Ralph have long since retired, the company is now guided by the second generation family leadership of Bill and Dave Hewes. Hewescraft has seen many changes in the past six decades, but the core values have not been altered: We are a company that considers the people who buy our boats to be much more than just customers, but important members of the Hewescraft family. Today our factory in Colville, Washington produces nine different series of boat models in dozens of different option configurations and sizes ranging from 16’ to 26’. 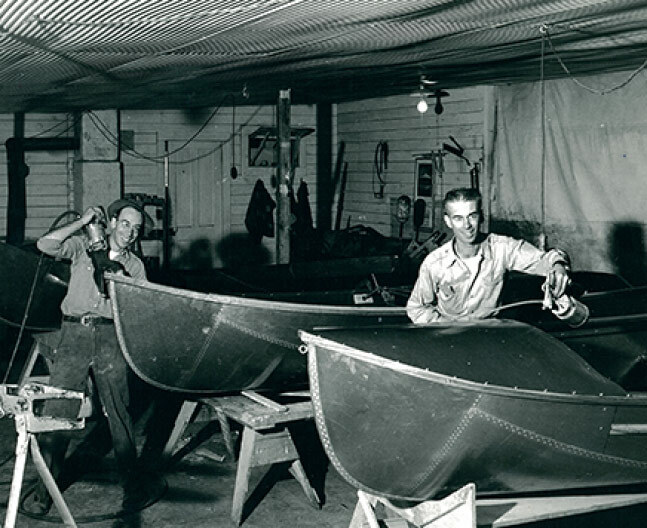 The experience, technology, and craftsmanship of our 125 current employees have made our all-welded, heavy gauge aluminum boats the benchmark for fishing vessels everywhere. Hewescraft boats are often copied, but never reproduced. 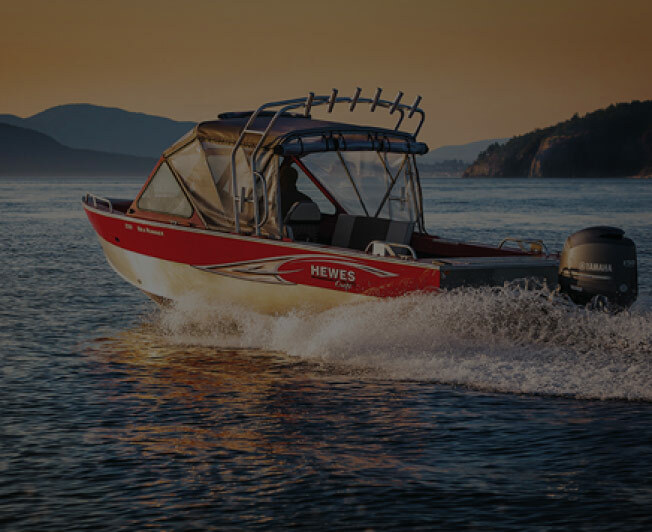 And we’re proud to acknowledge that Hewescraft is the number one selling heavy-gauge aluminum boat in the Pacific Northwest and Alaska – a place where fishermen take their fishing and their fishing gear very seriously. Bob and Ralph Hewes working on boat 1948.